Oilist for iPhone is an artist’s app with which you can sketch, paint and draw a unique picture of a photo you have shot. 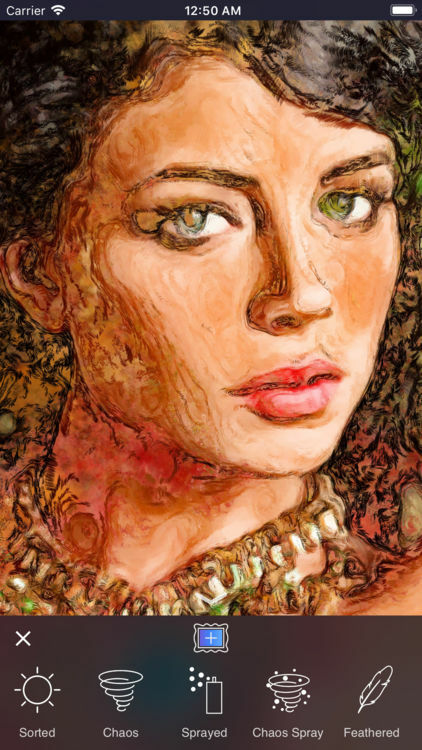 Using artificial intelligence and creativity, you can turn pictures into work of art. Let’s you add your own personality and give a new take on old photos adding all the fun and creative elements. It is extremely easy to get started with and makes sure you will have a fun time and removes chaos from your mind. Oilist for iPhone just needs an image and it will give a real work of art that has 4k resolution. It has 48 customizable styles which are not just photo filter. Oilist gives unique results each time you try to apply the same style on the very same photo. Unlike the regular filters, each brush stroke is unique. The app analyses the given image and using the vision technology and then designs the paints particles that can be applied using the brush. The app has 17 different presets for each styles, 13 different painting moods, and 15 different brushes. You can set different brush options for size and space. Chaos tools can splash paint with exciting madness and the gravity of paint can be controlled by tilting and rotating the device and brush angles. Switch from warm mood to cool mood and feel the difference in the outcome. Large brushes can be used for abstract work and small brushes for detailed high definition. With different styles, moods and brush types transform any shot into beautiful creation of artwork. Tap the picture grand icon below the image to save the painting. Oilist for iPhone is one superb app that is an envy of every human painter. With an innate ability to create the most perfect paintings that looks everything original, the app is equipped with great features. Use Oilist to create the ultimate real world art. It helps you escape boredom and is hypnotic, engaging with high resolution output that is long lasting. It app is priced $2.99 to download and requires iOS 11.2 or later.